Even if you have a protective case, figuring out what to do with your iPhone while you’re away from home can be nerve-wracking. Do you stick it in your pocket and risk it rubbing against your keys and catching a nasty scratch? Do you start carrying a man-purse just to keep your investment safe? 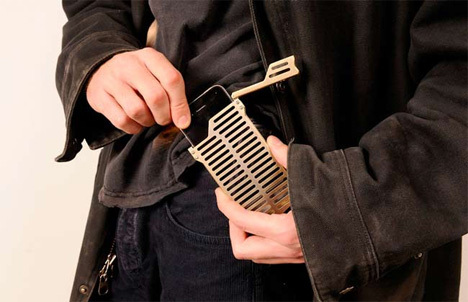 Maybe you should think about buying a ridiculously expensive belt buckle to stick your iPhone into. The EX07 is actually a gorgeous piece of hardware that any geek would be proud to sport between the belly button and the trousers. It’s solid brass with wood inlays on the side and hinges that allow the small door to swing open and closed. 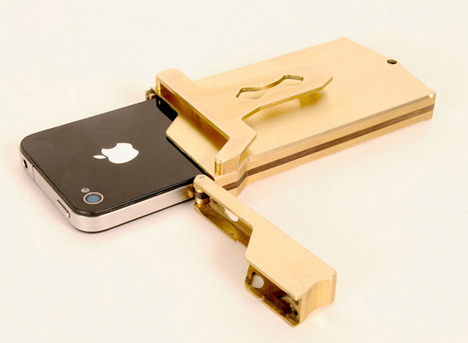 The case can also be worn on the belt or as a pocket-clip case. 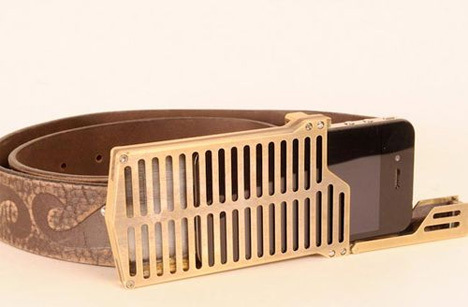 But trust us: it’s way cooler to wear it as a big, flashy, awesome belt buckle. Start saving your pennies now if you want to wear this baby to your next high school reunion – it’ll set you back a painful $300.